Welcome to Arizona Family Karate Academy! Our Martial Arts Instructors are standing by to assist you in enrolling in a program that is a perfect fit! We offer classes for children ages 3 years and up. We offer pre-school karate classes, elementary aged karate programs, teen and adult karate classes, and family martial art classes. Arizona Family Karate Academy opened their doors in 1992 and has been serving the community for over 27 years in North Phoenix. Sensei Anderson is a 6th Degree Black Belt in Shotokan Karate, in Okinawa Kempo Karate and in Kodokan Judo, as well as several other black belts. Sensei Anderson, along with the other instructors at Arizona Family Karate Academy strive to create a positive learning environment for children and adults learn to listen, learn, and achieve their goals. Why Join Arizona Family Karate Academy? More than any other sport or activity, the martial arts gives one the mental and physical skills to succeed in everything they do. Our children’s program is challenging and fun while we encourage every child to strive to do their personal best. Our instructors are role models that will help give your child the extra edge to succeed in life! Our martial arts instruction for teens helps young adults manage the stresses of school and teenage life. Our classes are a haven for teens to have fun and be themselves while developing life skills and good judgment through mental and physical skill building exercises. The classes are fun – at the same time our students have a blast striving for excellence. And our Adult programs allow you to take control of your mind, body, and emotions. Never be a victim, physically or emotionally. Learn highly effective and powerful self-defense skills in a relaxed, friendly environment. Our primary focus is to teach life skills. We have a structure of respect, courtesy, and honesty built into Karate. We’ve created an environment that children and adults learn to listen, learn, and achieve their goals. The classes combine the fun and excitement of martial arts training with weekly mental and thought provoking lessons designed to strengthen our students both mentally and physically. We have several different programs to offer. 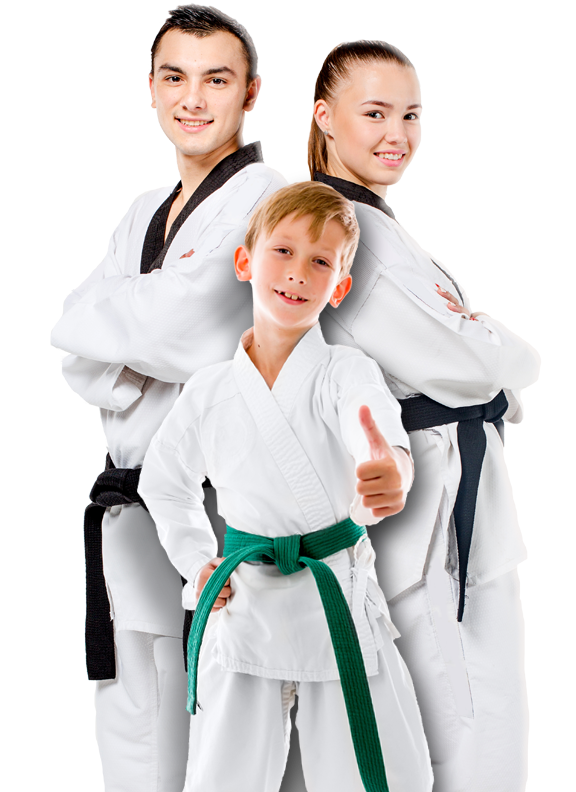 ARIZONA FAMILY KARATE ACADEMY offers a great starter program. This program includes a private intro meeting, 2 WEEKS, and uniform! If you or your child have ever thought about getting started in the lasting benefits of martial arts NOW IS THE TIME. Martial arts classes benefit growing children far beyond the dojo and in many real-world scenarios. Our structured classes are meant to help develop coordination, physical fitness, mental strength, as well as gain valuable social skills. Through goal setting and positive reinforcement, we can bring out the best in your children to help them succeed in life. We guarantee this is the best thing you can do for your child or yourself!